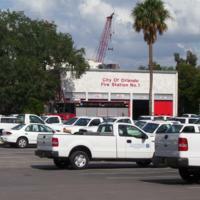 The City of Orlando Fire Station No. 1, located at the corner of North Magnolia Avenue and Wall Street in Downtown Orlando, Florida, in 2004. Inspired by a fire in 1883, Orlando's first volunteer fire department was established by William C. Sherman, who would be named Fire Chief. The organization also included Ben Bartlett, Tom Mann, J. Walter Hosier, J. W. Gettier, and Macy. The team used a hose, hose reel, bucket brigade, and a painter's ladder to extinguish fires. A major fire in 1884 and an article written by E. H. Gore in The Orange County Reporter resulted in the official organization of the Orlando Fire Department in 1885, with John Weeks as the first official Fire Chief. On March 25, 1919, Firehouse No. 1 moved from its original location on Oak Street (present-day Wall Street) to a new location at 19 North Main Street (present-day Magnolia Avenue). The new station cost $17,708 to construct and the old station was abandoned. In 2006, the Fire Department announced that a new Fire Station No. 1 would be located at 78 West Central Boulevard. The new building would be the three lower floors of a nine-story high-rise and would serve as the new headquarters for the City of Orlando Fire Department. The new fire station opened on December 2, 2009. Original color digital image by Thomas Cook, 2004: Private Collection of Thomas Cook. "History of the Orlando Fire Department." City of Orlando: Orlando Fire Department. http://www.cityoforlando.net/fire/History%20of%20OFD.htm#1986. Cook, Thomas. 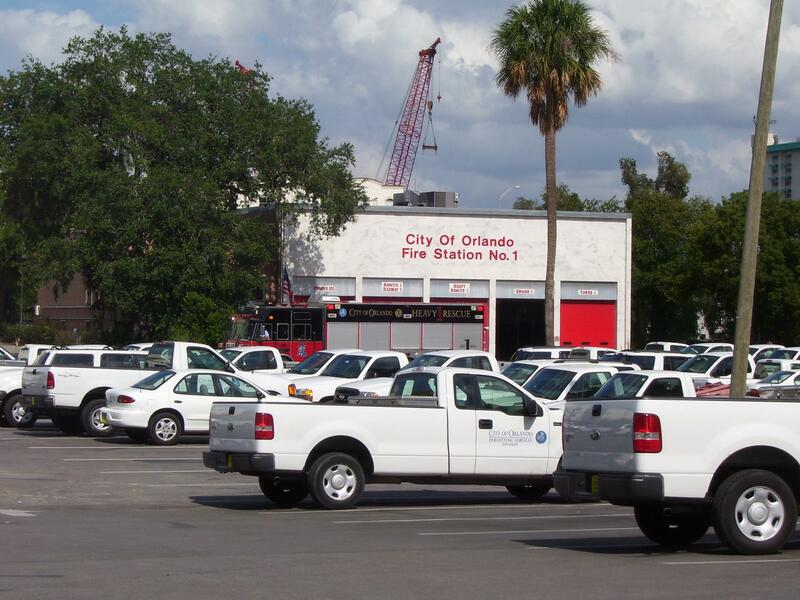 “City of Orlando Fire Station No. 1, 2004.” RICHES of Central Florida accessed April 21, 2019, https://richesmi.cah.ucf.edu/omeka/items/show/2211.